Bu içerik sadece İngilizce olarak mevcut. 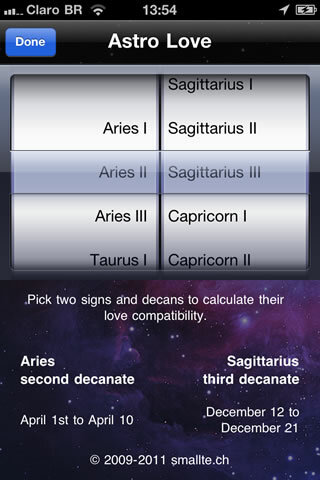 This application calculates for every moment your opportunities to meet love in terms of both attraction and feelings. 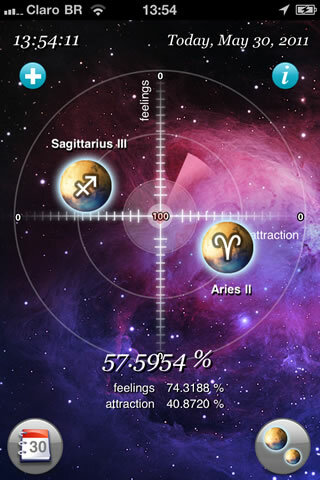 The closer the signs are the more favorable the stars are. Do NOT miss the perfect moment! For today or the following days, just slide your finger on the time bar to see how a particular minute will be. Unlike other applications, it stores the information and keeps working without connectivity. You only need to connect once a day.